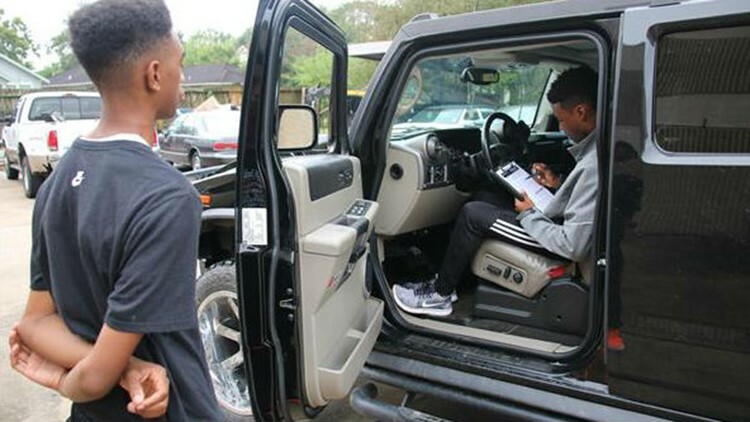 Beaumont Independent School District's Taylor Career Center offers vehicle inspections for the community as part of the school's automotive technology program. Beaumont now has the school in Texas with a vehicle inspection service. Beaumont Independent School District's Taylor Career Center offers the service to the public as part of the school's automotive technology program. Automotive Technology instructor Troy Burnett teaches students about gasoline and vehicle engines and how to use computer diagnostics to find electrical and mechanical issues. Students also learn how to perform a vehicle inspection as part of the program. They must be 18 years of age with a valid Texas driver's license and attend a Texas Department of Public Safety inspector training course along with a written and practical examination. Burnett received the Perkins Reserve Grant last school year, enabling him to purchase $75,000 worth of automotive equipment. Because of the grant, students have access to ATech Charging System Trainer, an electrical system program demonstrating live operation and study of charging systems and a Ford Integrated Electronic Ignition trainer, showing the operation of a Ford eight-cylinder system. Students enrolled in automotive technology classes can earn a Career and Technical Education certification once they complete the program. Vehicle inspections are $7. Students perform inspections 8 a.m. to 6 p.m. Monday through Friday at the Taylor Career Center, located at 2330 North Street in Beaumont.